Hepatitis C virus (HCV) infects the human liver, causing acute and chronic hepatitis. Acute hepatitis C virus infection occurs usually within the first six months of exposure to the virus, and it can resolve on its own. However, 75% to 85% of those who become infected with hepatitis C virus develop a chronic infection if they are not cured with one of the new drug regimens. Chronic hepatitis C virus infection is a long-term disease that can last a lifetime. When the liver constantly tries to get rid of the virus, it remains inflamed and can lead to liver problems such as cirrhosis or liver cancer. 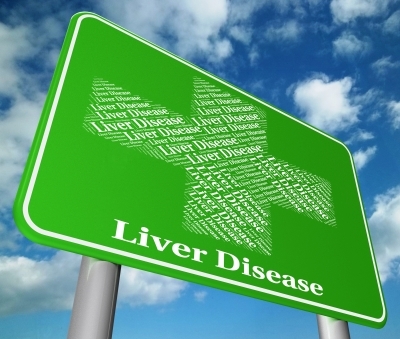 Many patients with chronic hepatitis C do not show any symptoms until the liver is damaged. Currently, there are 6 different genotypes of HCV and genotype 1 is the most prevalent in the US. 15,000 patients die each year from hepatitis C-related liver disease in the United States. Therefore, new cures hepatitis C virus infection have changed the management of the disease and having given hope to people infected with the virus. Direct-acting antivirals (DAAs) are a new class of medications that target specific steps in the HCV life cycle to prevent viral replication. The 4 classes of DAAs are nonstructural proteins 3/4A (NS3/4A) protease inhibitors (PIs), NS5B nucleoside polymerase inhibitors (NPIs), NS5B non-nucleoside polymerase inhibitors (NNPIs), and NS5A inhibitors. To prevent resistance, PIs must be used in combination with other DAAs. The goal of treating HCV is a cure, or sustained virologic response (SVR). SVR is defined as maintaining the HCV RNA less than the lower limit of quantification (LLOQ) at 24 weeks. In other words, SVR is defined as the absence of detectable HCV RNA in the blood. Identifying SVR as early as 12 weeks may also be acceptable, however, 24 weeks remains the gold standard. Per the Infectious Diseases Society of America (IDSA) guidelines, there are different recommended drug regimens for the different patient populations. The recommendations are based on the HCV subtype, the presence of NS5A resistance, and the presence or absence of cirrhosis. We will outline drug recommendations and cure rates for HCV genotype type 1 infection in treatment-naive patients.